Tempered glass (also known as toughened glass) is a type of safety glass, processed by controlled thermal treatment to increase its strength while maintaining its original thickness. By treating an annealed piece of glass with extreme heating temperatures which then gets instantly cooled, the glass transforms into a harder, more durable piece of glass. 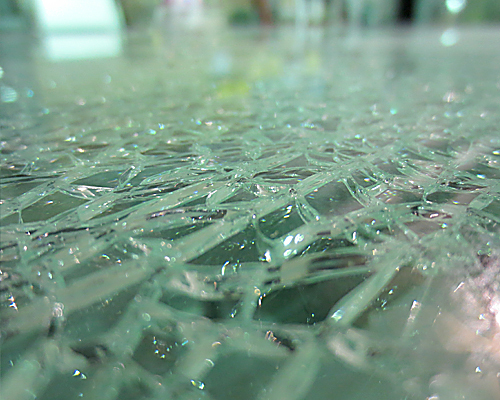 If tempered glass breaks, it fragments into pieces rather than breaking into large shards. This makes it less likely to cause serious injury. This thermal process also makes the glass resilient to heat and is ideal for applications that are required for safety by building codes and design qualifications.